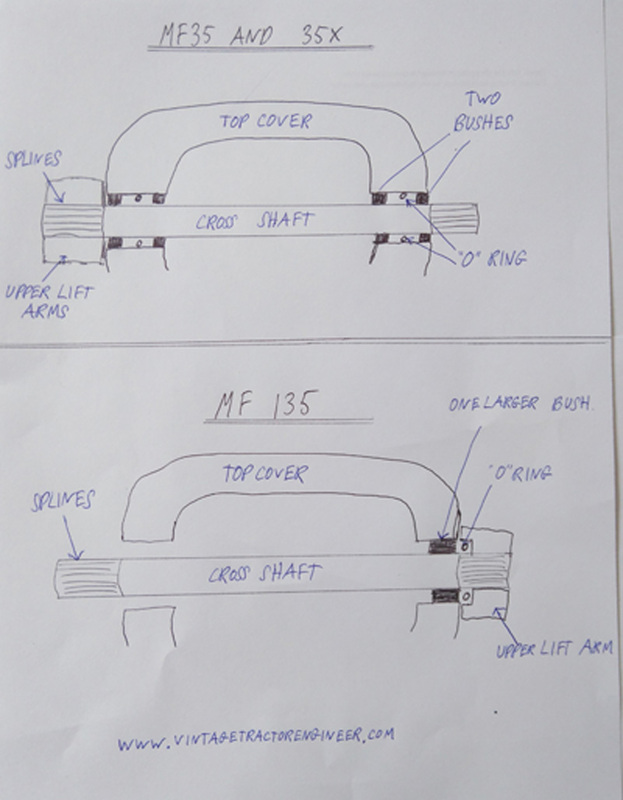 The cross shaft on the MF35 and MF135 tractors are held with bushes and sealed with ‘o’ rings. The MF35 has two smaller bushes with an ‘o’ ring inbetween them. The 135 has one larger bush. The ‘o’ ring then fits to the outside of the bush, and this is facilitated by having a top lift arm casting which is of a different design. 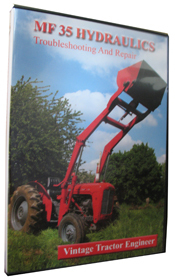 The tractor that we used in the MF35 Hydraulics DVD had actually had replacement aftermarket top lift arms fitted. These aftermarket lift arms had been manufactured to fit both the MF35 and MF135 tractors. Hence, they are able to take the ‘o’ ring to the outside of the bush as per the 135. I have all of your excellent DVDs and recently have rebuilt the hydraulic pump in a 1962 MF35 which I have been restoring. This is my first attempt and all has gone well (I think!) thanks to your DVD – would never have attempted it without the DVD! Could not recommend it more highly. Just one question – about the cross shaft for the upper lift arms. Your DVD shows “O” rings being fitted to the shaft before the arms are put back on – there were no “O” rings on my shaft when I took the arms off and also the same on a 1963 MF35X which is another of my projects. I see from the MF35 workshop manual that there is an “O” ring further in between the 2 bushes either side, although my 135 manual which shows only one larger bush each side shows an “O” ring on the outer side as per your DVD. So Vintage Tractor Engineer is sorry for the confusion. We should have made it clear that these top lift arms were not as per the original design for the 35. 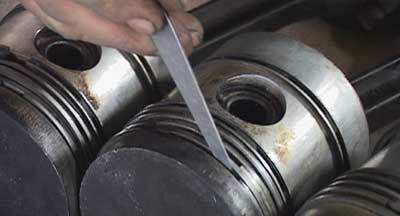 The correct arrangement for the MF35 is for two smaller bushes with an ‘0’ ring inbetween them. 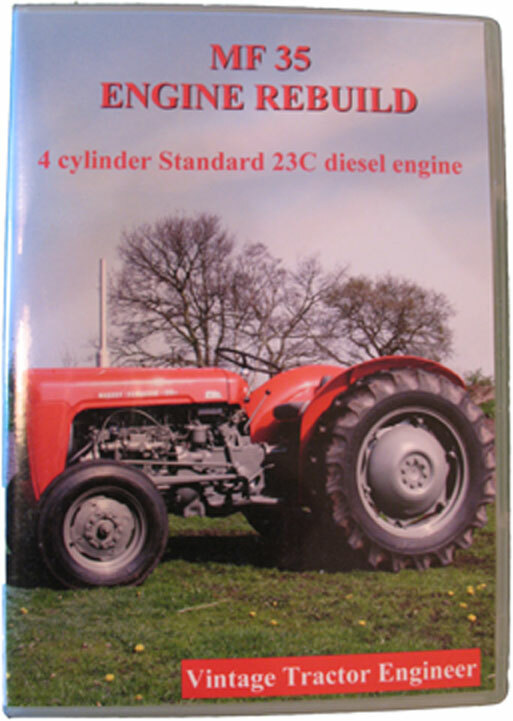 No ‘o’ ring to the outside of this (although if you have aftermarket top lift arms like were fitted to the tractor in the DVD, then you could put another ‘o’ ring in.